I can’t believe it’s Almond Butter!!! I ran out of my shop-bought almond butter the other day, which I had been eating a teaspoonful of, whenever the snacking urge bit me! Or when I had fresh LCHF bread, I used it, as my topping treat. Now in parallel, I’ve been sitting with a bagful of almonds, which I had not been eating, since ironically I don’t enjoy eating nuts whole….it’s the texture & experience, that I simply don’t enjoy, don’t ask me why, I can’t explain. So I’ve been using them to make almond flour, but I thought why not try make almond butter. Seriously, I can’t believe how easy it was! I wish I had known sooner, it would have been much more cost effective making my own, vs the cost of almond butter in the shops! My machine is old, so it’s engine can’t run continuously, so it had to stop a few times to let the engine cool. It’s as simple as throwing the almonds into the processor & running at full speed. 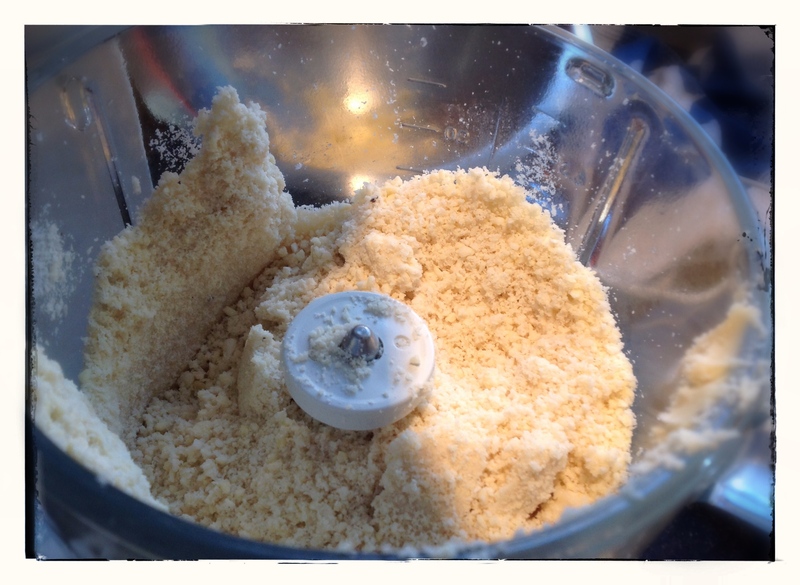 The first stage looks all crumbly like broken biscuits or almond flour (as seen above). And slowly it’s starts binding, it really does! (as seen above). 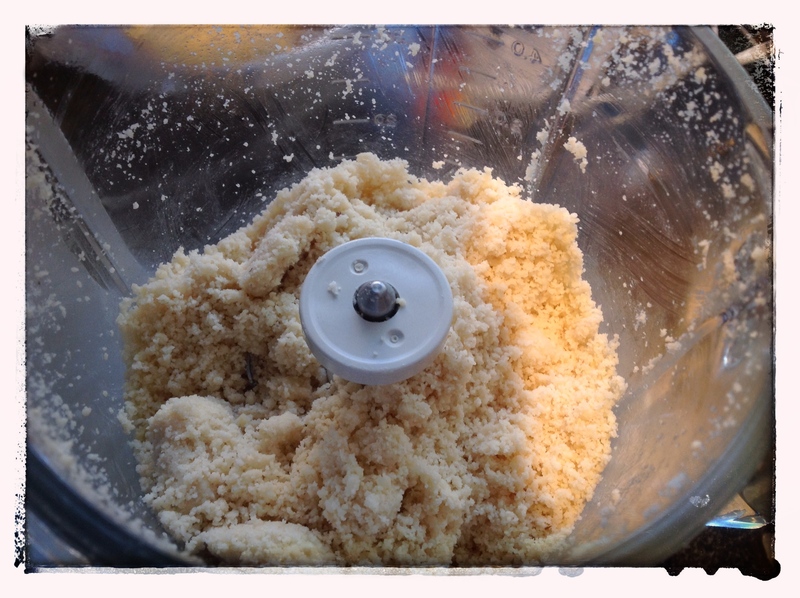 And depending on how powerful the engine of your food processor is, it could take 5-10minutes or slightly longer, if you are like me, letting your engine cool when the light starts warning! And then voila, it turns into the butter/paste, and you finally get almond butter! Which was placed in a sterilized glass jar! And a few of my friends scored some freshly made almond butter for the weekend. I can’t wait to try macadamia, cashew and the like! Note: to sterilize glass jars, you simply wash them and place them upside down on a rack in the oven and heat for 45minutes at 145 degrees celsius. The lids you place in boiling water for a minute, before using them to close the container. 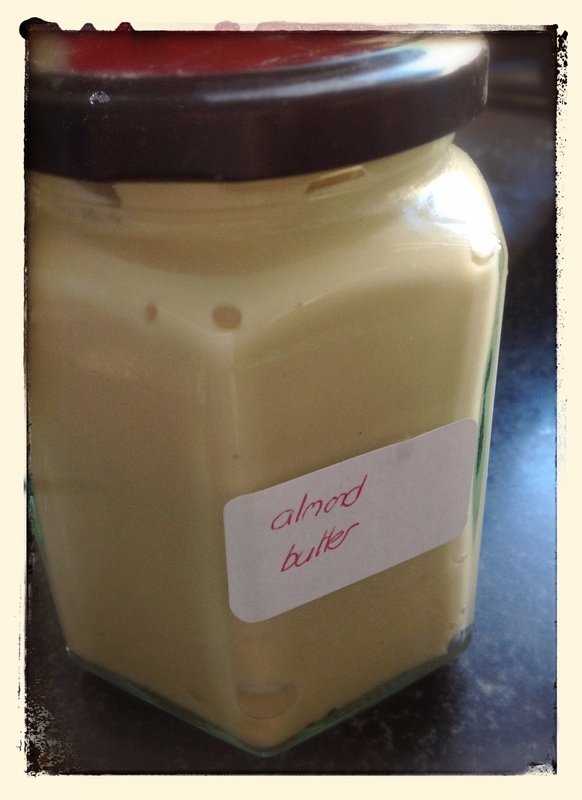 This entry was posted in Breakfast, lchf, LCHF recipes, snacks and tagged almond butter, almonds, Atkins, banting, Crushed almonds, Homemade Almond Butter, LCHF, lchf recipes, low carb, nut butter, paleo, raw almonds by angelb38. Bookmark the permalink.